#TeamEverlast’s Crawford turned pro in 2008, since then he has gone undefeated to achieve a record of 32-0 with 23 KO’s. He first captured a title in 2014 on British soil where he went the distance with Ricky Burns to become the new WBO World Lightweight Champion. Since 2014, Crawford successfully defended that title twice before moving up to Super Lightweight (140 lbs). 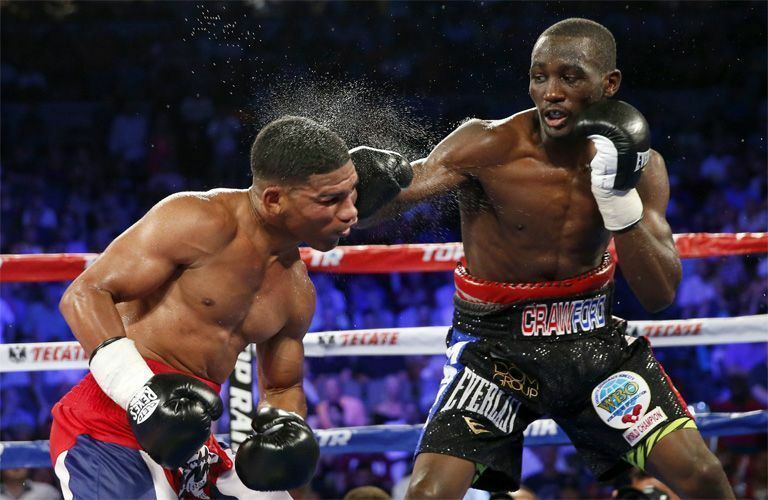 Those three performances earned him the Boxing Writers Association of America’s award for the “2014 Fighter of the Year.” In 2015, Crawford captured the WBO World Super Lightweight Title from Thomas Dulorme, a year later, Crawford beat out Viktor Postol to capture the WBC World Super Lightweight Title. In 2017, he won by TKO against Indongo to become the undisputed champ. 2018 has seen big things for Crawford, being ranked as the world’s best active boxer, pound for pound by The Boxing Writer’s Association of America, second by The Ring, third by ESPN and fourth by BoxRec. TITLES: WBA Super World Super Lightweight Title, WBC World Super Lightweight Title, IBF World Super Lightweight Title, WBO World Super Lightweight Title.